Development & distribution of holiday safety posters and brochures. Providers of training and education for fire department personnel to better understand the needs of this special population –	Fire and safety personnel are generally not aware of Jewish observances and rituals that create additional fire and burn risk for this population. This knowledge deficit can potentially lead to friction between these two groups. Public servants and community members must share a mutual respect in order to work together effectively. 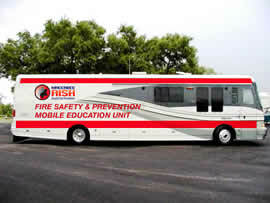 Mobile training/simulation unit to visit schools, synagogues, camps & community events (future program). 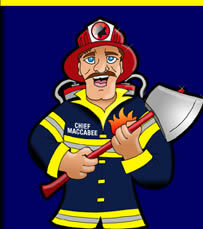 3D simulation, video Risk of Observance: Fire & Burn Safety Prevention for the Jewish Community. Learn and practice safety and prevention sections. Escape planning and practice session with window exit escape ladder.